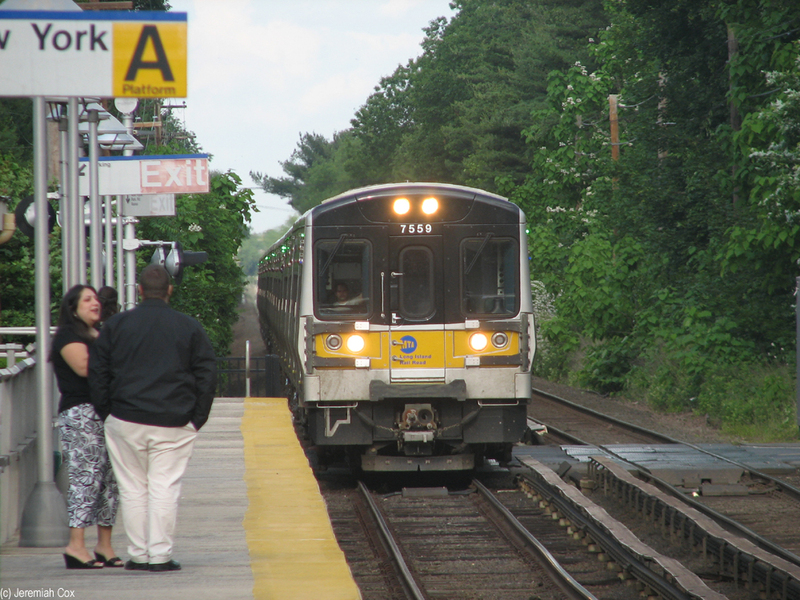 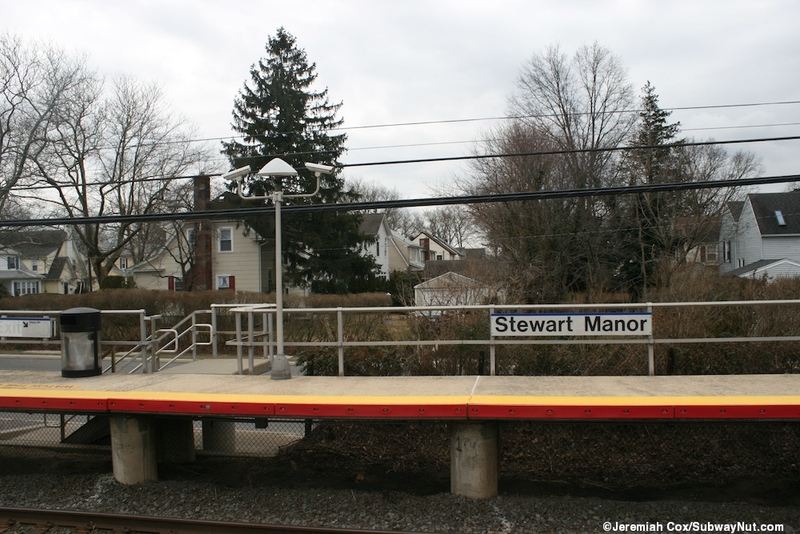 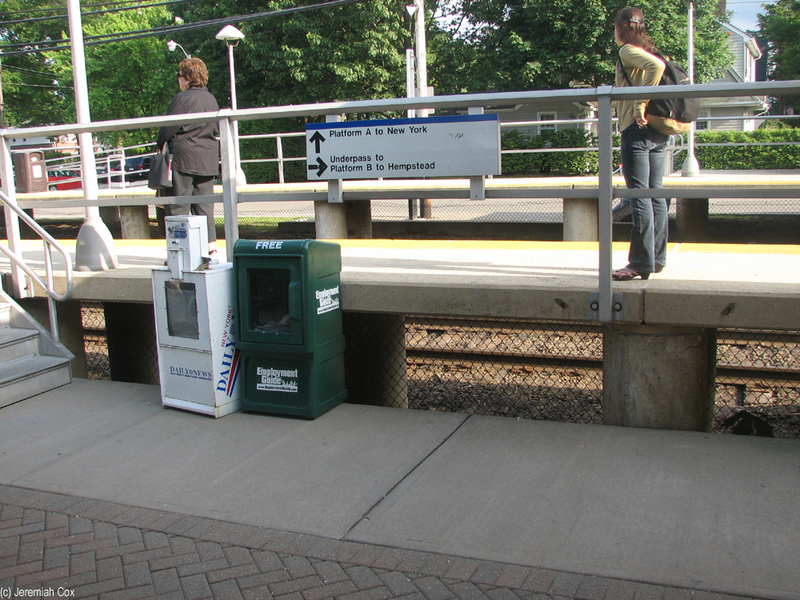 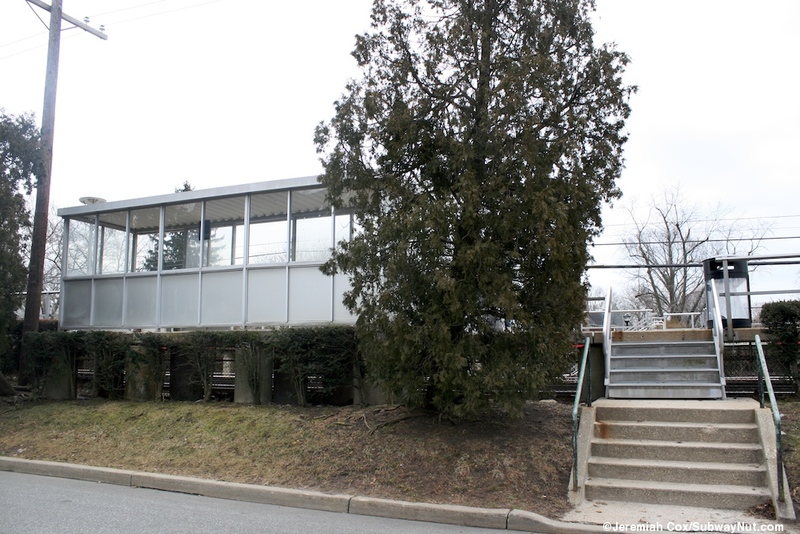 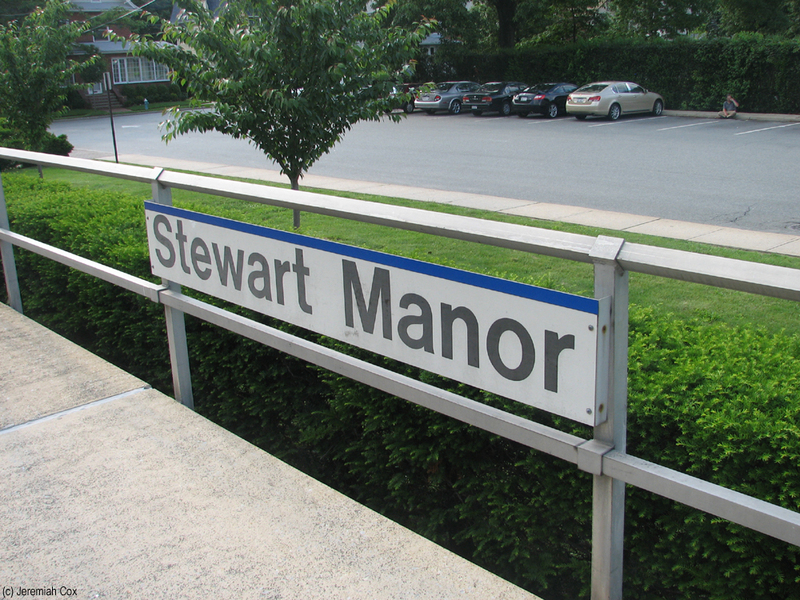 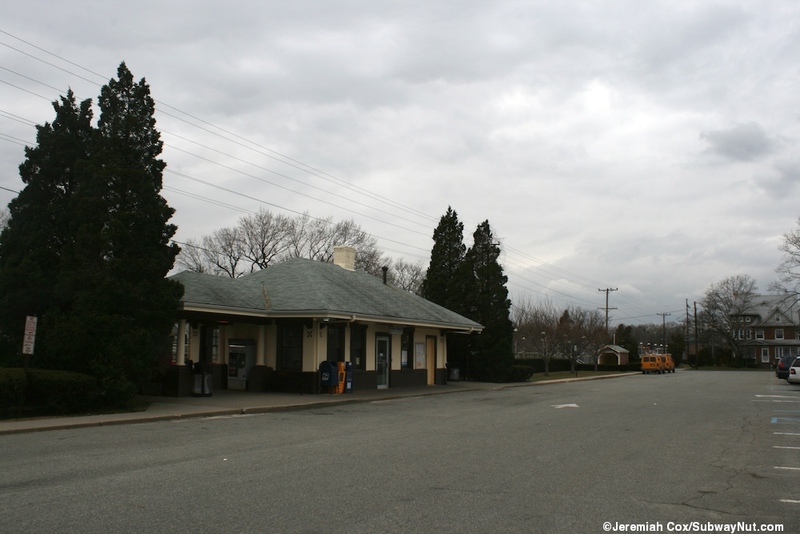 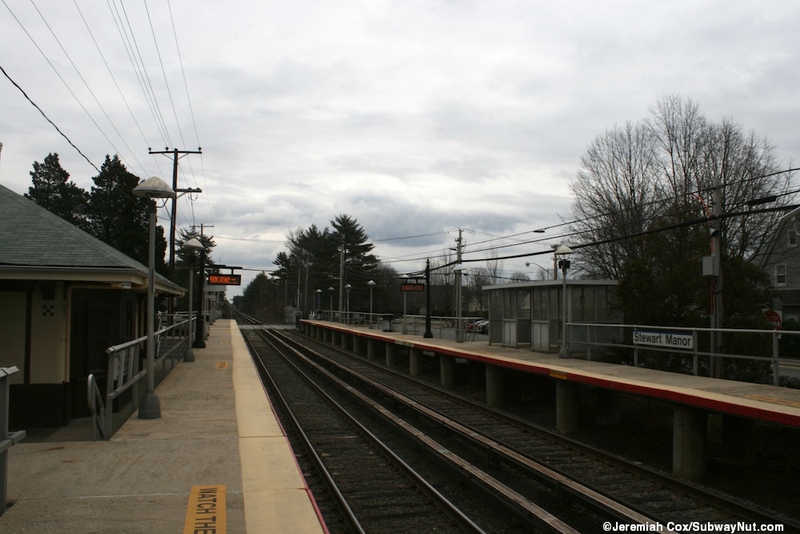 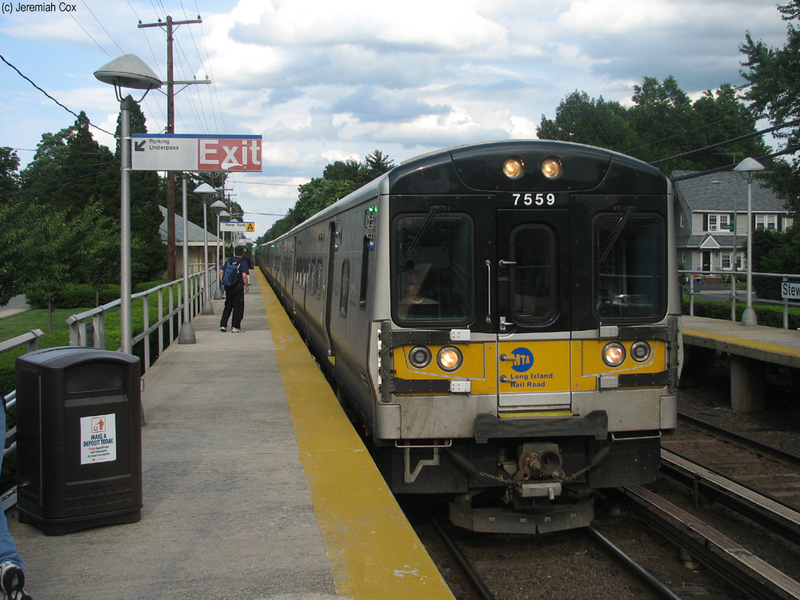 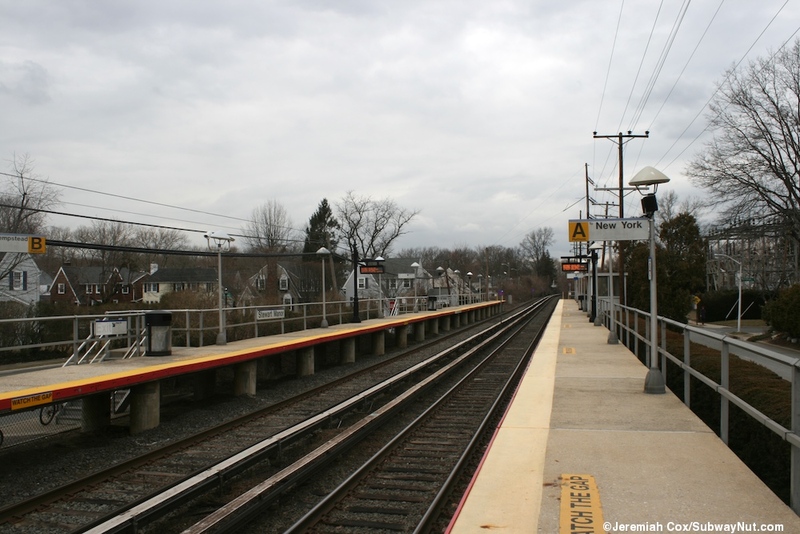 Stewart Manor is a station located on the grade-level Hempstead Branch and has two side platforms for the two track line. 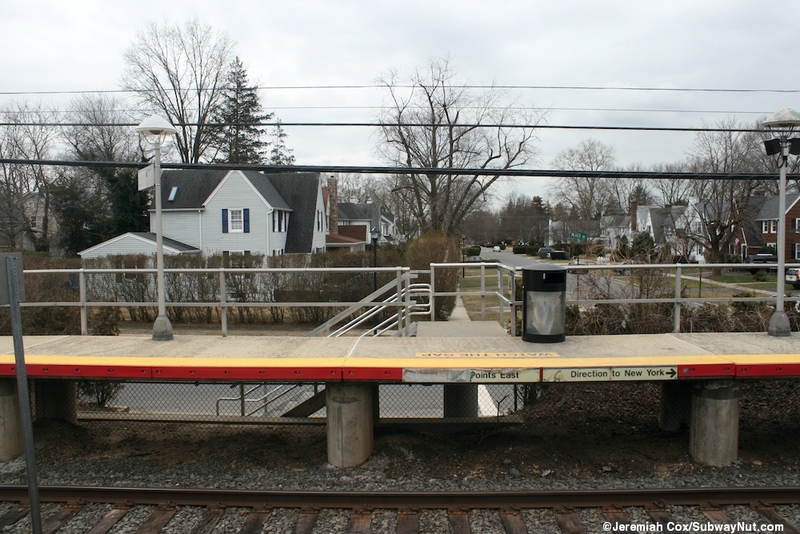 The station has two side platforms that can fit 10 cars for the two track line. 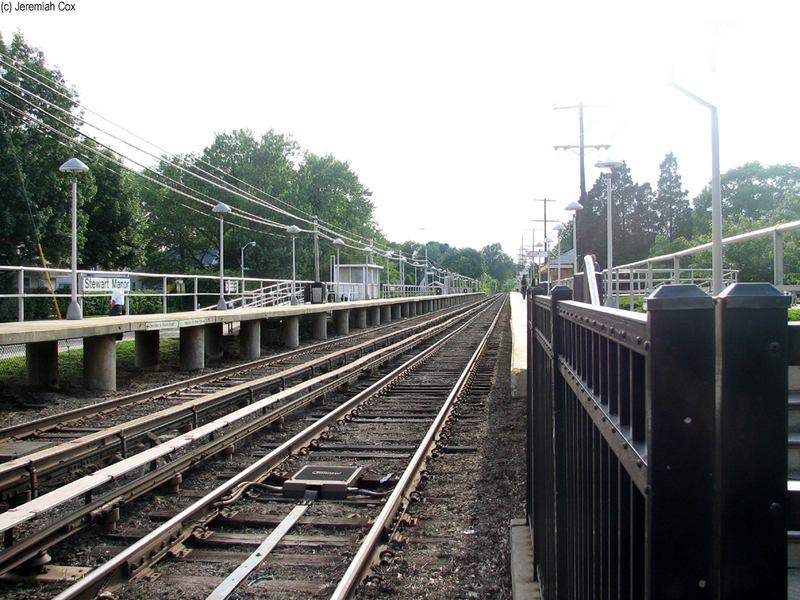 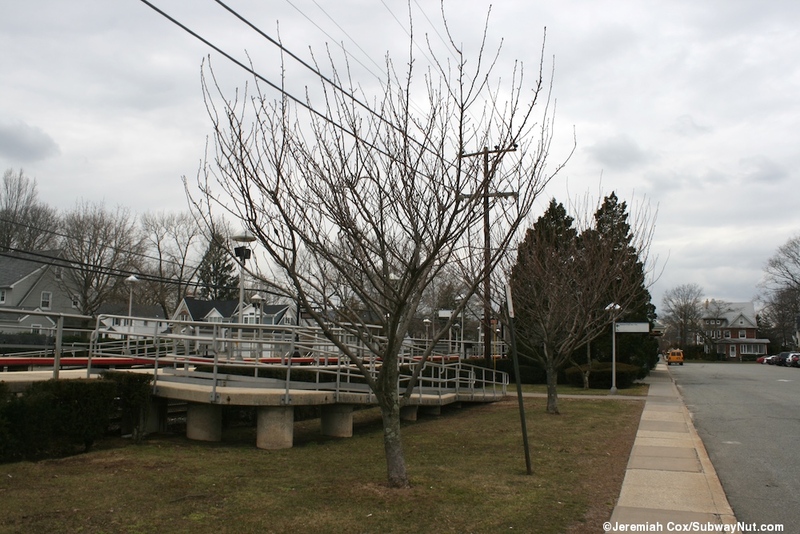 These platforms begin at a grade crossing at its eastern end of New Hyde Park Road. 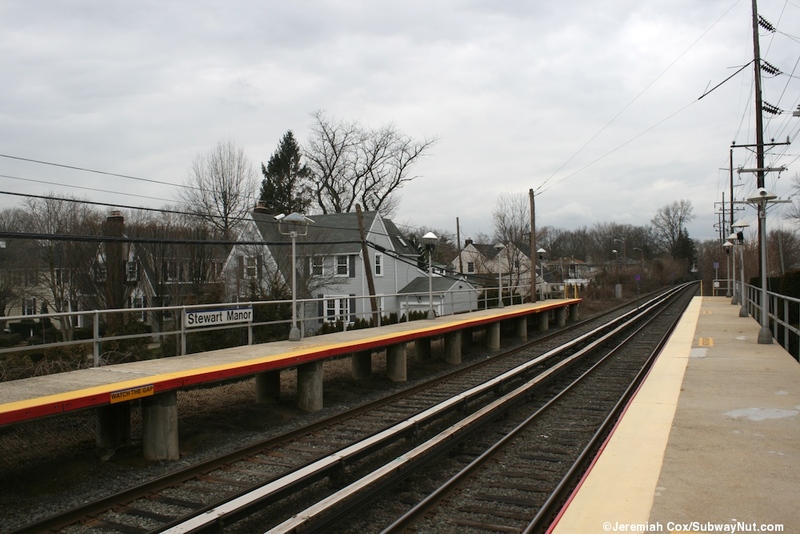 The New Hyde Park station on the main line is a half-mile north. 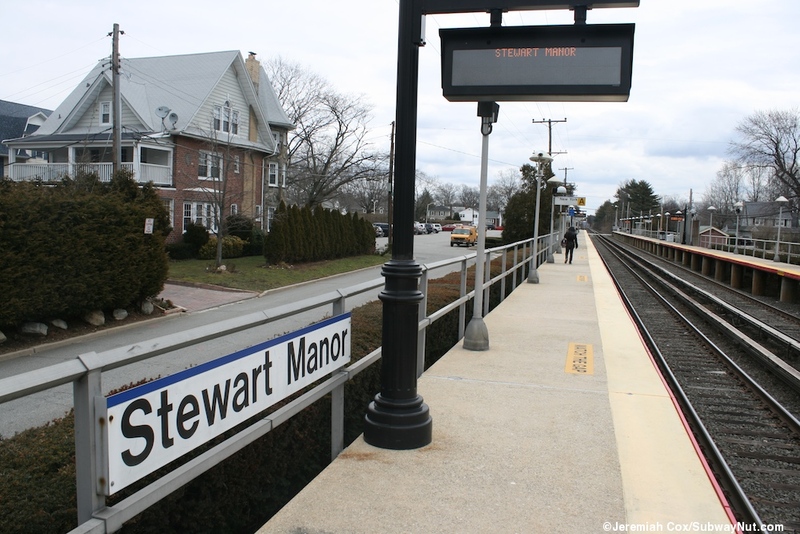 The New York-bound platform is alongside Plaza Road, the Hempstead-bound is Manor Road, both have some parking along each platform. 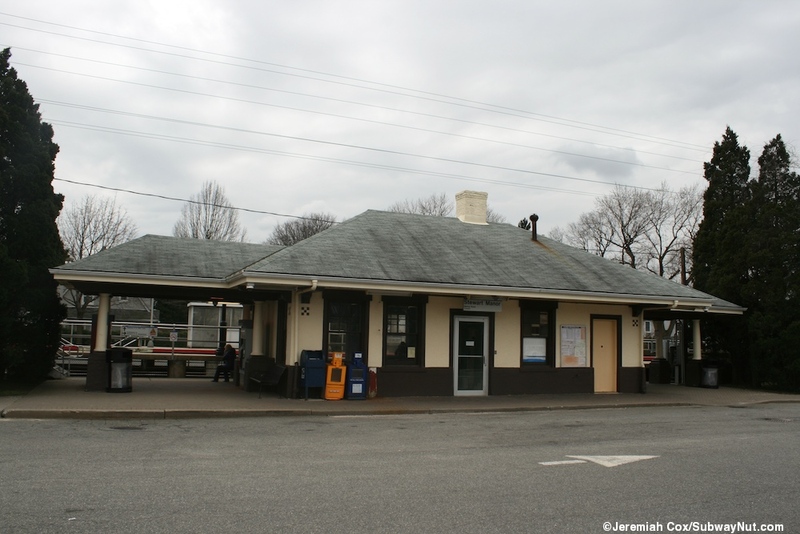 There is a small fairly modern concrete station house with a waiting area along the New York-bound platform. 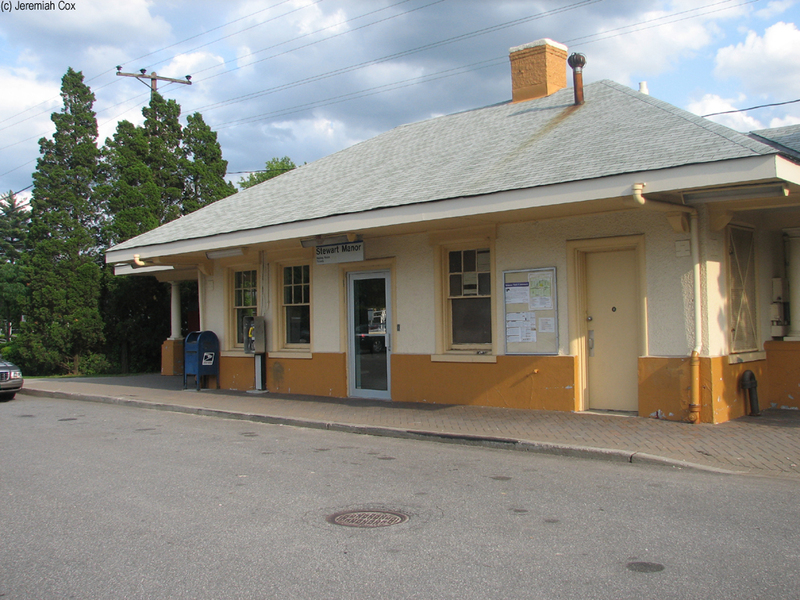 The building has turquoise tiled walls and grey plastic bucket benches. 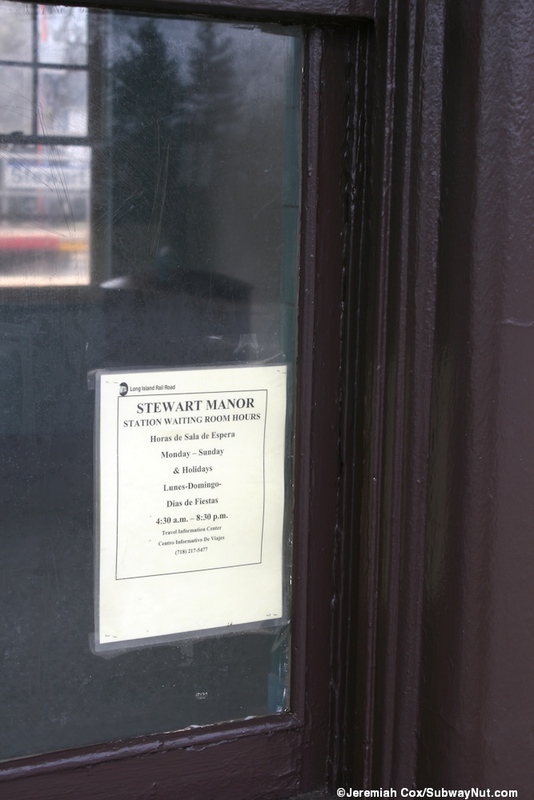 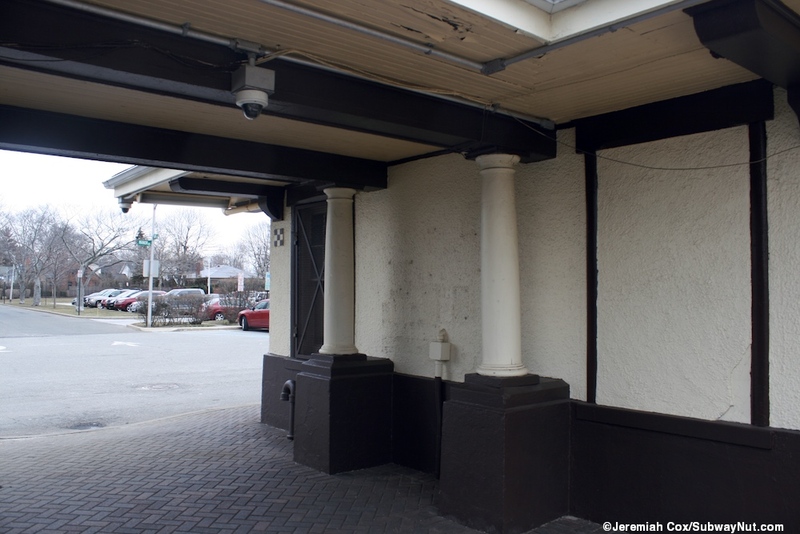 There is what looks like white cardboard covering the ticket office that has been closed since 1996. 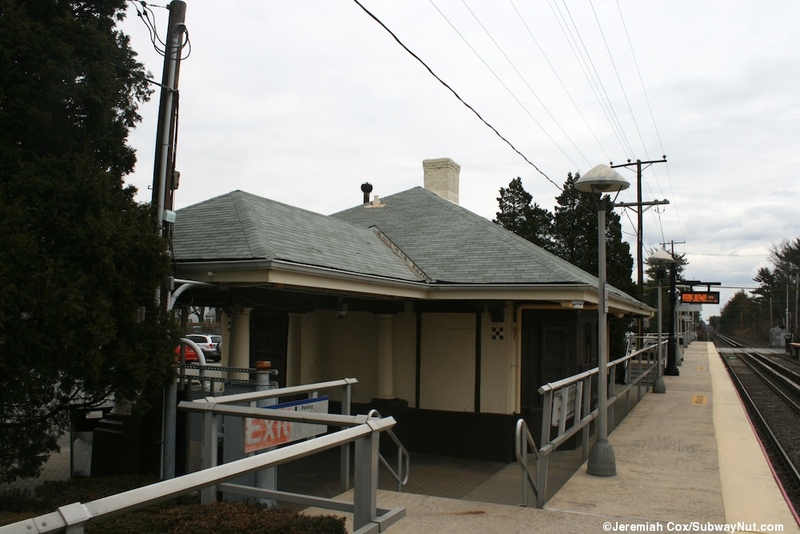 Finally in the middle of the platform is a 'foot subway' pedestrian underpass beneath the tracks that have small covered entrances from street level in similar styles to the station house this connects for pedestrian Roosevelt Street that is cut into two sections by the train tracks. 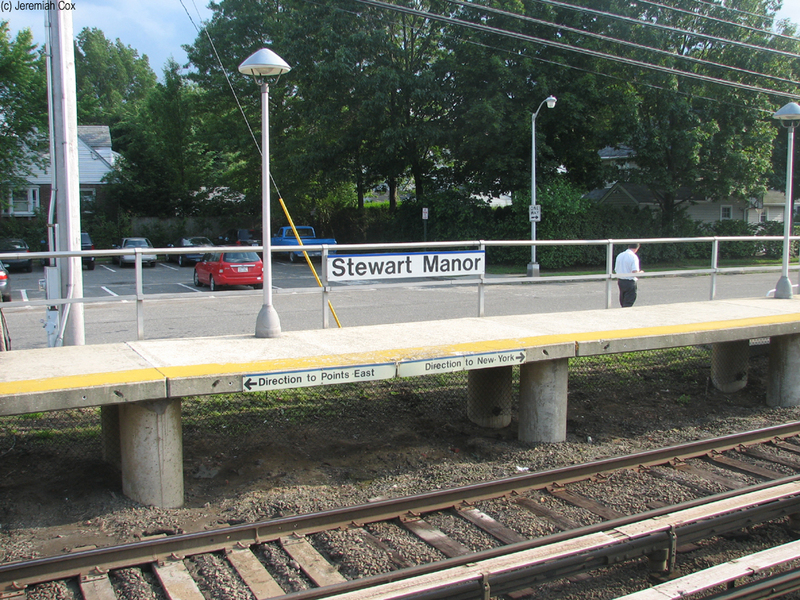 A newish looking concrete station house at Stewart Manor.